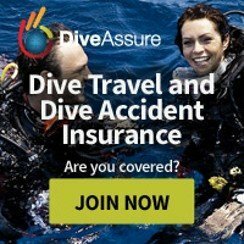 Homepage>Scuba Tips>How to achieve Perfect Buoyancy? Buoyancy is the key! Almost every aspect of your diving will improve slightly just by improving your buoyancy skills. 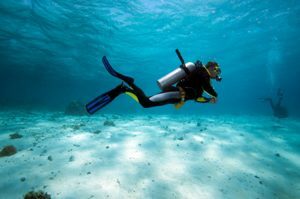 Unfortunately, developing good buoyancy skills is one of the most difficult aspects of diving to master for most novice divers. The reason for this is that it is not a muscle memory skill like clearing a mask or recovering a regulator, whereby you follow certain mechanical steps to achieve the desired result. 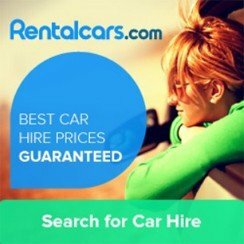 It is a sense or touch skill, akin to starting a car and driving off when parked on a hill. Using the gears, handbrake and accelerator on the flat is simple enough, but balancing them on a hill so that the car does not roll back requires the development of a certain sense or feel. 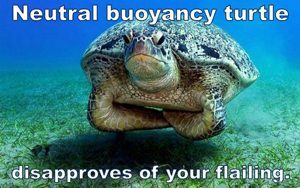 So here is how to go about developing and mastering buoyancy. 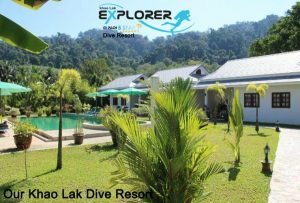 Khao Lak Explorer Advanced Open Water Course and Peak Performance buyancy can teach proper buyancy and weight, to get the most out of your dives. The first thing you need to sort out to master buoyancy is your weighting, too light and you float, too heavy and you end up having to put large amounts of air in your BCD to compensate for the extra weight. Ideally, you want to be weighted just right or slightly on the negative side. Most recreational instructors dive slightly over-weighted, especially when teaching because it gives them that little bit extra negative buoyancy if they need to control a student’s ascent. The second part of mastering buoyancy is trim. What is meant by trim in diving is your body position in a 3 dimensional environment. 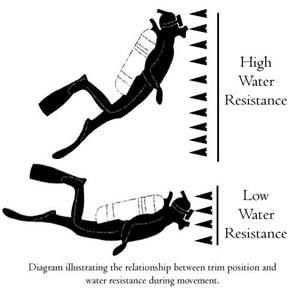 The ideal trim for a diver is to have their body perfectly horizontal in the water with their knees bent at 90 degrees and fins pointed backwards. Your centre of gravity and weighting should balance out around your navel, so that your knees don’t drop or conversely your head does not start pointing down. Additionally, you should also be balanced around your shoulders so that you are not listing to one side or the other – you should be totally flat. Without proper propulsion techniques, mastering buoyancy will be hard; if you are constantly pushing yourself up or down with your fin kicks, it will be very difficult to nail on your buoyancy since you will be constantly having to adjust. The key to efficient finning is mastering the frog kick. It is the most efficient and least energy-consuming kick since the entire force of the kick is directed backwards, propelling the diver forward. With your body flat and your knees bent at 90 degrees, splay your legs in a V shape. Once your legs are splayed, rotate your ankles outwards so that the sole of your fins are facing behind you, and then in one smooth motion pull your thighs together, and create a scooping motion with the tips of your feet. 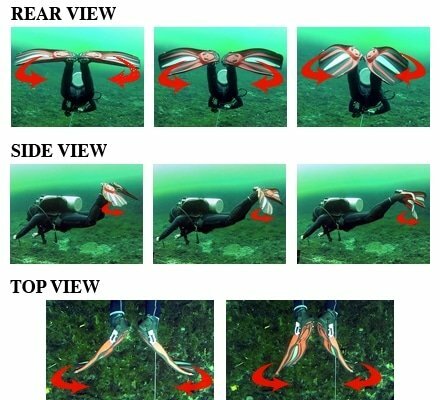 To be able to better visualise the motions required for a proper frog kick, there are plenty of videos and tutorials available online to help new divers master the technique. 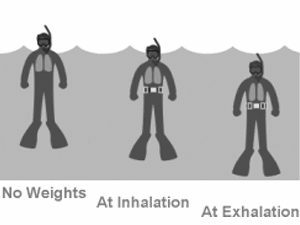 One of the biggest mistakes made by inexperienced divers when adding or taking air out of their BCD is to overdo it. As they descend, they feel they need to put some air in and they give their inflator a huge burst; this puts too much air in and the diver goes from being too negative to being too positive in a matter of seconds. The same happens when making ascents and the diver takes out too much air, becomes negative and starts sinking. The best option is to put little squirts of air into the BCD at any given time. It is better to put 10 smaller squirts of air in than one large one, since this really starts to give the diver an idea about the exact amount of air needed to establish neutral buoyancy. The same also applies when taking air out of your BCD, although keep in mind to keep your ascent under control. Underwater photography is very good to proactive your buoyancy as well. Practice, practice, practice is the key. Finally, buoyancy does not improve overnight, it is a skill that requires time and effort to master, and there are no shortcuts or substitutes. When it comes to buoyancy, the adage “practice makes perfect” has never been truer. On the surface I am properly weighted, but underwater I seem to be underweighted, how come? 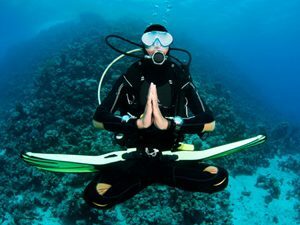 This is purely a technique issue, what is happening on the surface is that you are correctly weighted, however whilst underwater you are not releasing all the air from your BCD. This most often happens because air gets trapped in the lower sections of the BCD. There are two solutions for this problem. Firstly, learn to use the toggle dumps on the BCD; these are generally positioned on the shoulder and on the lower back of the BCD. Secondly, when swimming along horizontally and you need to take some air out, rotate your left shoulder up and raise your inflator hose, then turn your head to look at the hose. This ensures the hose is at the highest point, and you can visibly see the air being let out of the BCD. Why, when moving from a hover to swimming, do I tend to go up or down? This is generally a trim and propulsion issue; when moving from a hover to a swimming position, if your body position is not horizontal, then there is a likelihood that as you swim forward, you are propelling yourself not just forward, but upwards or downwards at the same time. Once you have moved up or down a little, you have thrown your buoyancy off and you need to make some adjustments. The second reason that can cause this is if you have improper propulsion technique. 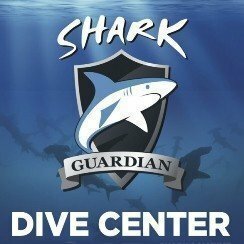 If you are not finning correctly, your fin kicks tend to be pushing you upwards or downwards, as well as forward. Needless to say, this can be resolved by working on and developing proper efficient propulsion techniques. 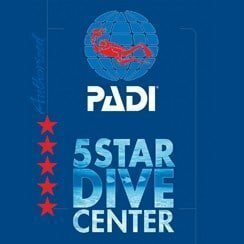 Will having my own equipment improve my buoyancy? Definitely yes, particularly in terms of having your own wetsuit and BCD, which are the two items of kit that have the most impact on your buoyancy. Having the same wetsuit allows you to pretty much fine-tune and lock in your weighting. On the other hand, having your own BCD adds an element of muscle memory to controlling your buoyancy, you become familiar with the location and operation of your inflator and dumps, this makes it easier to focus on the sense side of buoyancy, since you are not occupying your mind trying to find hoses and dumps. 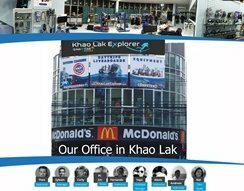 Our Khao Lak dive equipment store have a wide range of dive equipment for you. I have done everything I have read about and still I don’t seem to improve? This can be tricky and frustrating, but do not despair. What you need to remember about buoyancy is that it is not a muscle memory skill, it is a sense or touch skill that takes time to develop. All you need to do is keep going and concentrate on what you have learned and it will improve with time. Additionally, your buoyancy skills do not have a continuous improvement curve, but tend to be a series of plateaus with smaller improvement curves between them.